"Cyclostome mouth": short clypeus + concave labrum above mandibles resembles a found, open mouth. See Remarks on Braconidae page. It is one of the most diverse and species-rich subfamilies of the Braconidae. 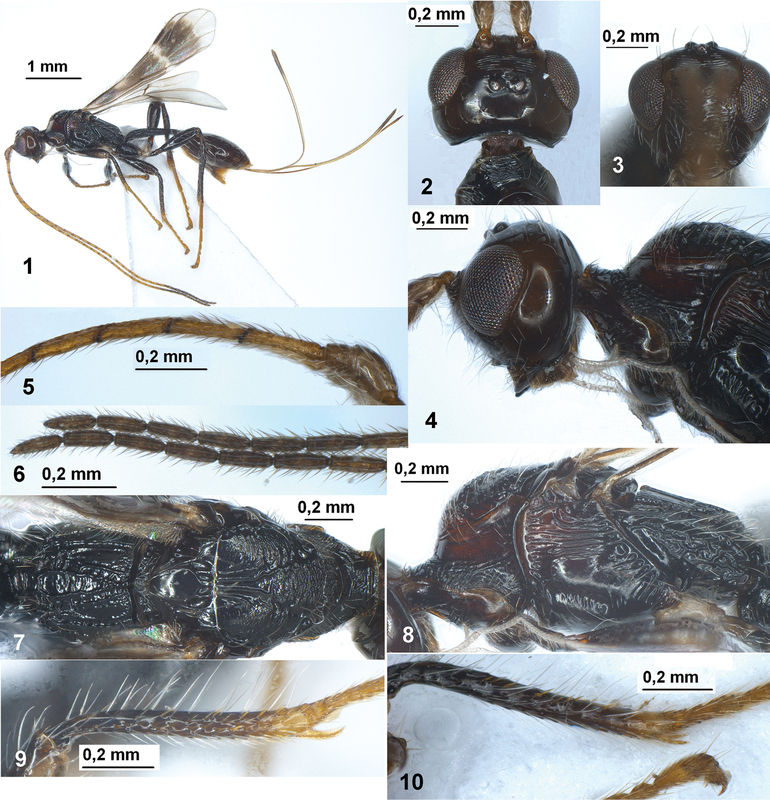 The subfamily is diagnosed by a row of spines on the foretibia, a flange on the propleuron above the forecoxa, the presence of an epicnemial carina and occipital carina (Marsh 2002), a double node near the apex of the dorsal valve of the ovipositor (Quicke et al., 1992), and a cyclostome mouth. ((Seltmann, K. and M.J. Sharkey. 2007). Doryctine larvae feed on larvae of beetles, sawflies, and some moths.